"... Should i take before or after eating "
"... I think this product gives you nice energy and focus however there is definitely something in this product that causes sneezing and runny nose...and I don't "have a cold" ! I am sure this is a reaction some may have from this! " "... I'm going to start using superHD. Should take this with any other supplements to make it more effective or will this be sufficient?" No, this is enough. The MOST important factor is now the diet and exercise, otherwise you will have no results. "... I have been taking super HD with NO3 chrome, Hydroxycut SX7 and CLA from GNC for weight loss for about 2 weeks, I have developed an extreme itch all over my torso. Could this be from one or all of these supplements? I hate to quit all of them if it is just one that is causing this as I am loosing weight and have great stamina and energy. Any suggestions? Thanks "
Wow.. that's a lot of supplements. That would explain your reactions as you mix and match too many different products. Stick with one with a GOOD DIET and GOOD CARDIO plan to get all the results you want and MORE. "... If I already have the possibility of having fatty liver. Can HD hurt it even further? " It's not something I would risk, at a minimum talk to your doctor and bring in the bottle so they can see the ingredients and any possible complications which may arise. If you're looking for fat loss, remember that diet and exercise are 99.9 of it. "... Hello, I am taking Triadalean which gives me no energy boost but gets rid of fat. But, I am also extremely tired with it. My question is, can I take Super-HD in conjunction with this product as well? Thanks." It might be too much to combine the two. If you are looking for some energy consider a cup of coffee or caffeine pill as well since you'd be wasting your money on the fat burner aspect of Super-HD if you are already getting good results from Triadalean. Besides, there might be complications by mixing ingredients. "... I have been using this supplement and I am wondering if I should take milk thistle supplements to keep my liver clean while using Cellucor products? " No need to take any milk thistle with a fat burner like superHD. If you take prohormones or pro-steroids then yes, but cellucor doesn't carry any of those dangerous types of products. "... I am taking Super HD and I want to take Cell-Tech with it. Will they cancel each other out?" No, they do not cancel each other out. Using an energy/fat burner product with a high quality creatine is a good combination. I would also suggest a good protein as well. "... I am 220, looking to drop 20 pounds. I see Super HD packaged with T7 Extreme and D4 Thermal Shock. Would this be over doing it? Will taking just Super HD be enough." Yes, I would not stack 3 as that might be overkill. Super HD on it's own is actually extremely effective and a good choice. Cut back your carbs and overall calories, hit the gym 4-5 days a week with cardio 3x per week and you'll lose those 20lbs in no time. "... Hi everyone, my name is Jeni I am 31 years old. I have always struggled with weight issues and never really came across a good fat burner that works besides the now banned hydroxycut formulat from a few years ago. This, in my honest experience is probably as good as it gets. I usually shed about 1lb through diet and exercise alone each week.. when I add SUPER HD I am dropping another 1-2lbs more so some weeks I am dropping 3lbs which for me is excellent. I only have about 25lbs or so to lose so yet it will take some but at this rate it's right around the corner. The energy is also very good, no crashing or shakes like hydroxycut used to give me.. just a clear sense of focus and stimulation which I really have gotten to love." "... I am currently taking this product with Ahd and solid. Will taking this thermogenic enhancer conflict with my test booster? Is this product considered a stimulant? Thanks. I have been losing weight regardless due to my strict diet, but I figured this product could give me an edge in meeting my goals. As I am taking this with the test booster stack, it is hard for to tell what is causing my positive results. " This is a good stack for getting lean and hard. Yes superHD is a stimulant based supplement. The thign to remember that when aiming for gaining size and getting lean at the same time, getting lean always wins. So even though you will some SOME improvements in lean muscle, you'll see weight loss more. If you don't like that, stick to ONE goal at a time. "... I have been using this product for a few days now and I feel amazing. I am female and weighed 216 Tuesday and today is thursday and I'm already down to 213. Due to being overweight I am usually so tired and I have a huge problem with my appetite. I constantly crave sweets and unhealthy food. Taking this product I feel alert, energized and have had no food cravings. I still have an appetite, but a healthy one. I have changed my diet to 3 meals a day and a snack in between those meals, so I can eat every 2 hours. I think this pill will really help other people who are ready to lose weight but lack motivation and energy, because it gives that boost that's needed. I believe it needs to be taken with diet and exercise though for ultimate results. I did not diet or exercise before taking this pill, but it has given me the energy to workout, focus to finish my workouts, and controls my food cravings allowing e to stick to a healthier way of eating. I definitely recommend this product to anyone serious about losing weight." "... Think it would be alright to mix m5, no3, p6 and super hd?" Sure, but it might be overkill. What are your goals exactly? Sometimes less is better when it comes to supplements. Don't rely so much on pills and instead focus more on your training, real meals every 2-3 hours and rest at night. "... Will this product cut my fat more if I'm stacking it on to my cycle." You'll have to be specific about your "cycle", how are we supposed to know? With regards to helping you burn more calories and get more energy, this is exactly what Super HD does. "... can this product damage my kidney are liver"
If you take the entire bottle in one sitting then probably yes, as is the case with ANY supplements or drug. Just follow the directions, use common sense and you'll be ok.
"... what are the side effects "
If you follow directions and are in good healthy physical condition, none. "... All I can say is WOW! I was lucky enough to get a bunch of free samples from the LA Fit Expo this past weekend and let me tell you I was hooked from the first dose. I took a free serving and probably 20 minutes later I already felt it. Wasn't a crazy jittery feeling, but you could for sure feel the kicked up focus and clarity. Heart was pounding a bit harder.. but nothing crazy. Have been using it for about 5 days and already lost about 2lbs, some might be water. Really excited what this will do. My friends tell me I really seem up-beat and alert lol"
Power thermogenic ingredients unlike anything else available on the market today! 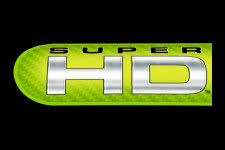 Cellucor Sports supplement has unveiled their latest product, Super HD! fitFLEX is here again, first on the mark to break the news, give you the chance to share your review and ask questions! A combination of powerful new thermogenic ingredients combined with potent nootropics you'll get the fat burner effects you want in addition to a powerful mood enhancer to boost your attitude and well-being. 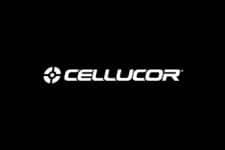 This is one of the latest products to be released by Cellucor and there are promises of many more new items to come! In addition to being a powerful weight loss agent, Super HD also is a strong suppressor for your appetite to help you control cravings and junk days! If you're ready to try something new to help you reach your ripped and tones self, consider this solution as your weapon of choice heading into 2012! Includes Premier Ingredients such as IFAS503 and CAPSIMAX! Super HD Fat Burner Delivers Fast & Safe Weight Loss Results!